Congratulations to the 6th grade Jazz Band and the 7th/8th grade Jazz Band for a fantastic evening of music! The 6th grade "Bedtime Band" Jazz Band, with band members clad in pajamas, played a stellar set of songs that showcased their growing confidence and competence. 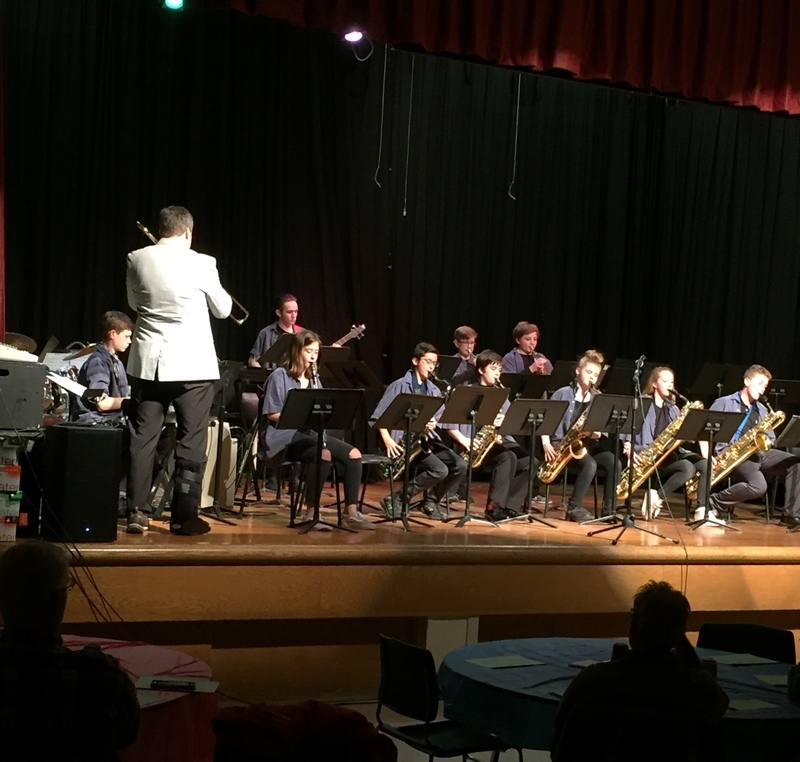 The 7th/8th grade Concert Jazz Band hit their stride on all four selections, including a jazzy take on the classic "Green Onions". The bands closed their sets with selections composed by our own Mr. C. Thank you to the jazz bands and Mr. Ciechomski for getting our concert season off to a swinging start! The 5th Grade Band, 6th Grade Band, and 5th & 6th Grade Chorus delivered wonderful performances at the YPAC! The 5th Grade Band played like seasoned pros in their first performance on the YPAC stage. The 6th Grade Band followed with a program of challenging pieces, including a mash up of the James Bond Theme and The Nutcracker. The 5th and 6th Grade Chorus demonstrated their versatility, from the touching "A Million Dreams" to the playful "Old Dan Tucker" and "Jabberwocky". Our thanks and appreciation to these musicians for sharing their talent with us. We are grateful to the students' commitment to their learning, as it takes hours of focused practice to create the show we enjoyed last night. Sincere appreciation to Mr. Dustin, YHS Music Teacher, for accompanying the Chorus on piano. To Mrs. Grover and Mr. C., we loved the opportunity to watch, listen, and enjoy all that our students have learned. Many thanks to you for making this possible! 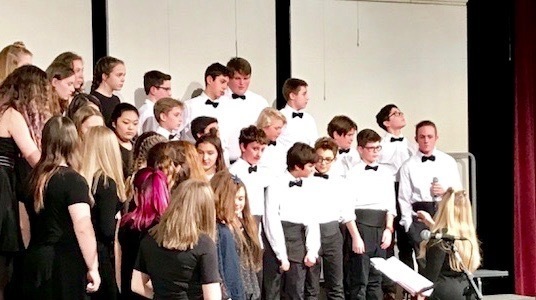 Heart, grace, precision and beauty are just a few descriptors of the performances by the 7th and 8th Grade Symphonic Band, 7th and 8th Grade Jazz Choir, and 7th and 8th Grade Concert Choir. The challenging pieces played and sung by our student musicians demonstrate their commitment to their craft, and their understanding of the powerful impact possible when making and sharing music. 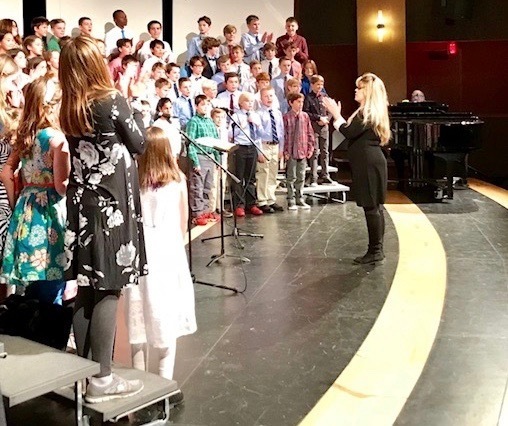 Together, our students created an enchanting program, which elicited a myriad of emotions from the audience, moving from delight, to amazement, to joy. We extend our gratitude and appreciation to all involved in this moving evening. Our thanks to Mr. Dustin for his expert accompaniment and support of our music program. 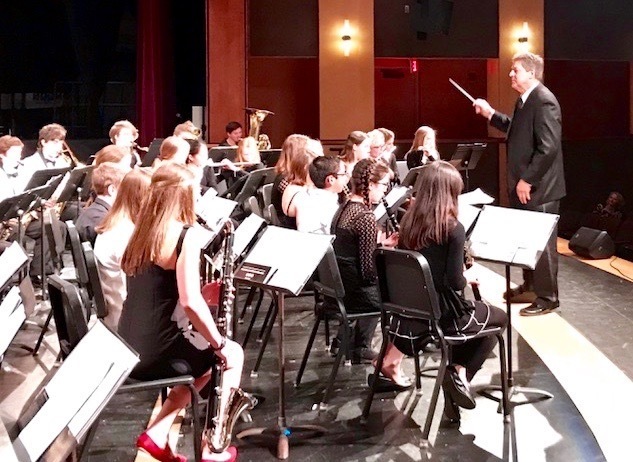 To Mrs. Grover and Mr. C., the winter concert season is a testament to all that is possible when educators and learners share passion, talent, and drive towards continuous improvement. Thank you for your work with our students.